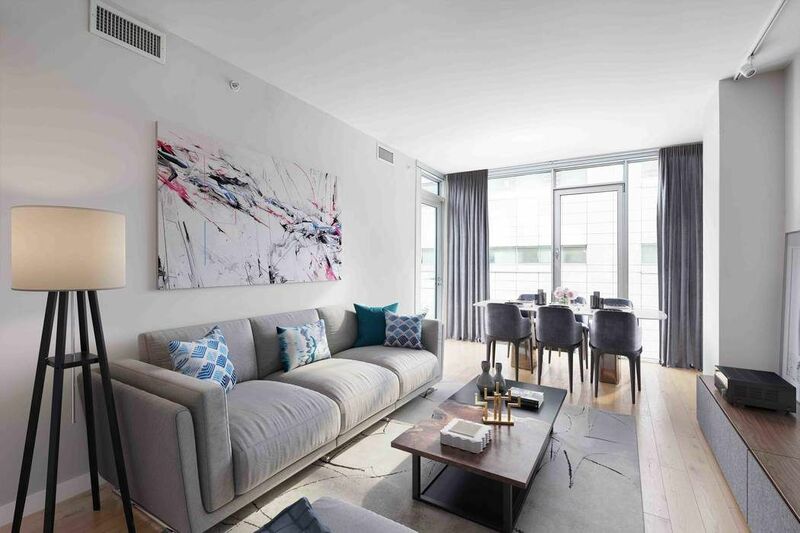 50 Franklin Street Apt 4A, New York, NY 10013 | Sotheby's International Realty, Inc.
Modern loft-like 1 bedroom Tribeca apartment with terrace in a coveted full-service condominium at fabulous 50 Franklin. Beautifully appointed home featuring lovely oak plank floors and south-facing floor-to-ceiling windows inviting in generous light all day. 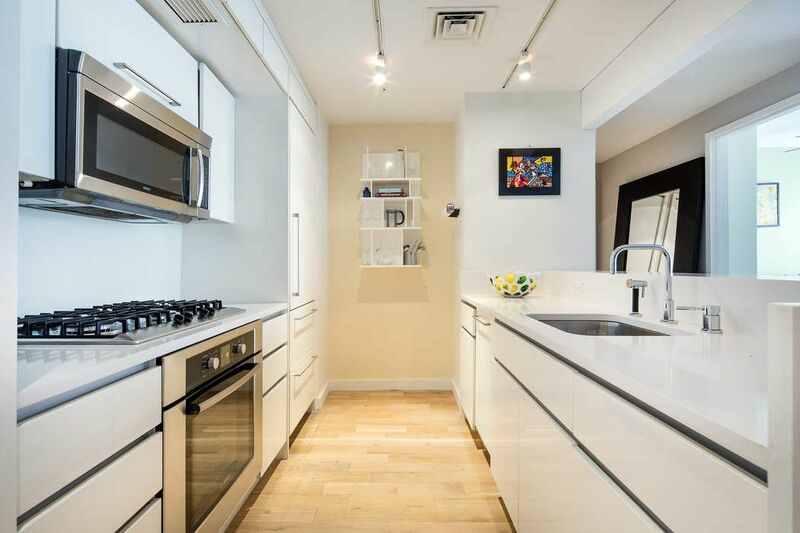 The large living/dining room is served by a stylish chefs kitchen adorned with white cabinetry, Caesarstone countertops, recessed track lighting, Bosch appliances and a Sub-Zero refrigerator. Both the living area and bedroom open out to a wonderful private terrace through oversized Arcadia sliding doors for indoor/outdoor gatherings or quiet relaxation as you overlook city views. 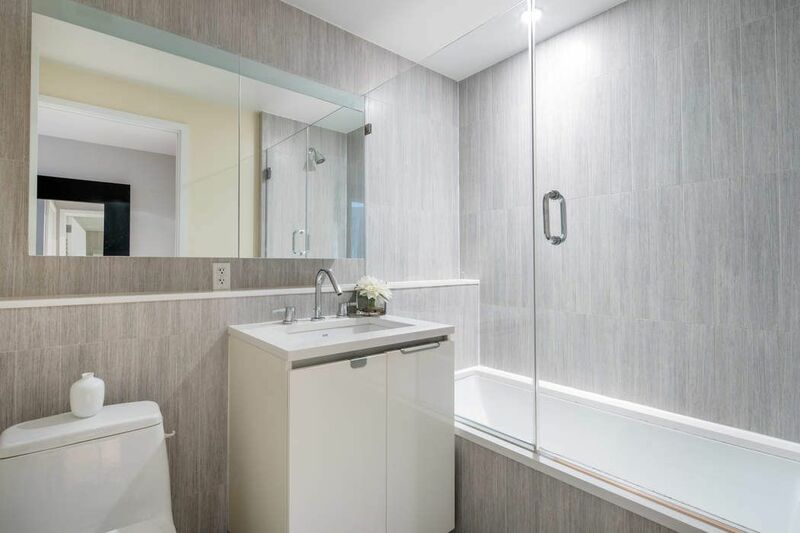 The spacious bedroom offers abundant closets to accommodate your wardrobe, and the contemporary spa-type bath is glamorized by a Caesarstone surround, travertine marble porcelain tile, a soaking tub and glass shower enclosure. 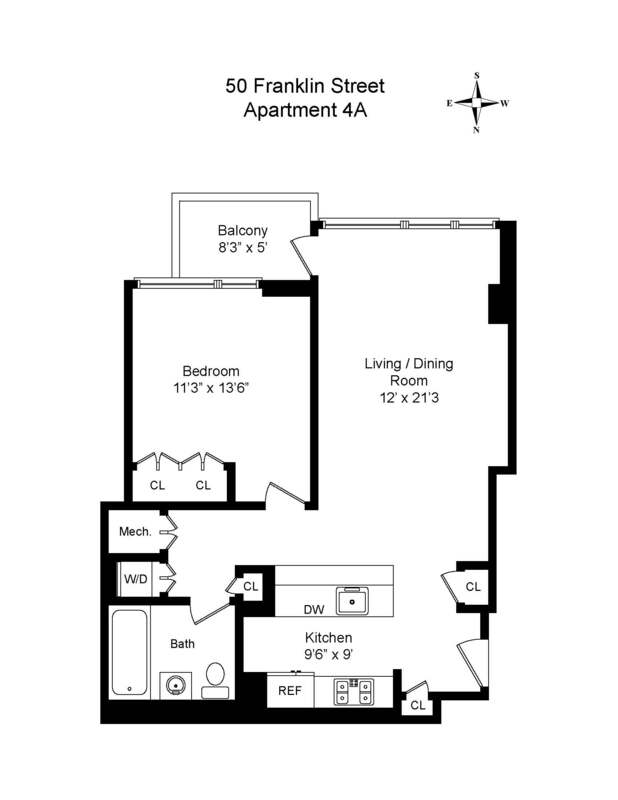 Closet space is plentiful throughout the home. Individual-controlled central air keeps the climate comfortable. Upgraded smart home. storage unit is transferable with sale. 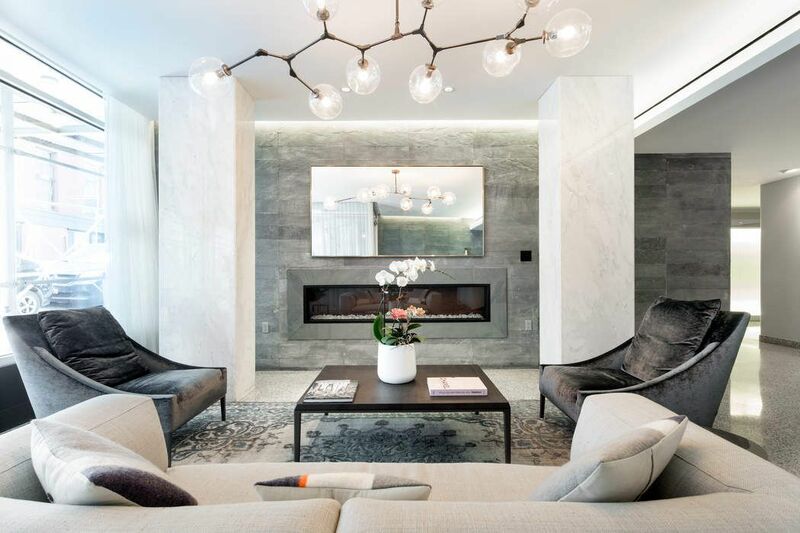 Designed with clean modern lines and minimalist elements, 50 Franklin Street by renowned architect Ed Rawlings stands is a chic 18-story condo in Tribecas most sought-after locale. 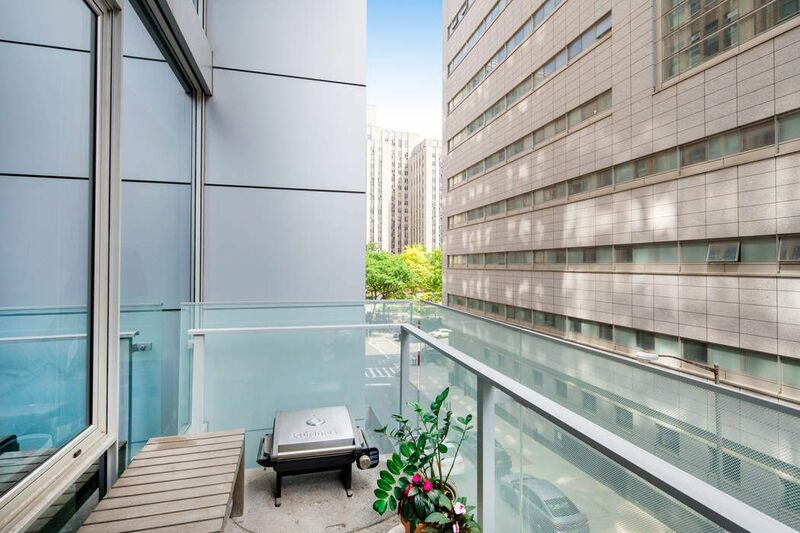 A 24-hour doorman/concierge, live-in super, fitness center, multimedia lounge for parties, package room, bicycle room, private storage, guest apartment, parking, and a landscaped roof lounge with 360-degree city views make this building a downtown dream. 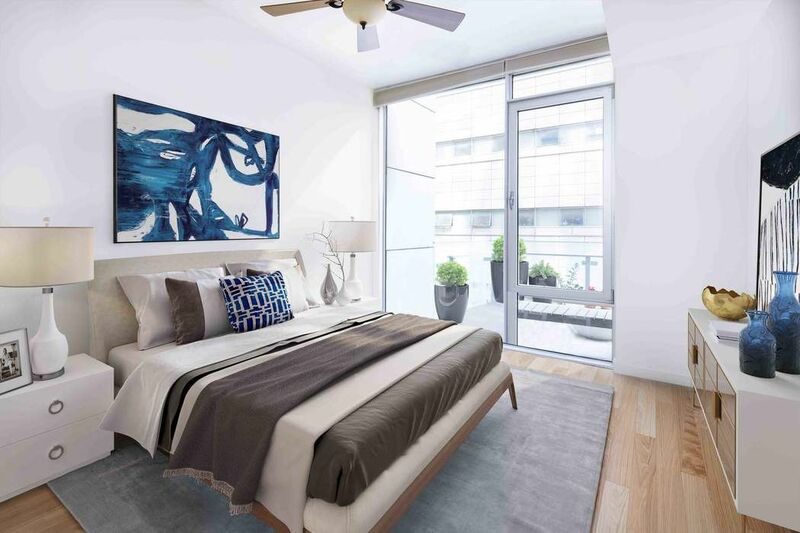 So much to do is right outside your door with all the great restaurants, shops and attractions of Soho, Chinatown and the Financial District within close reach. 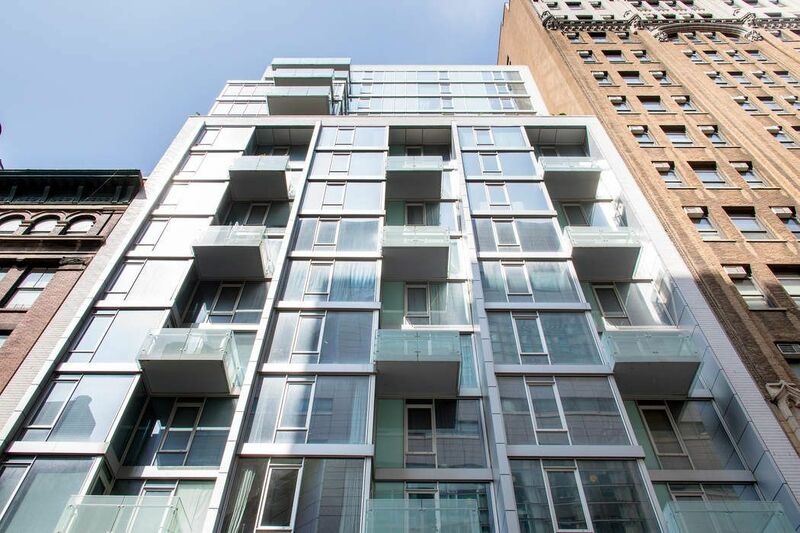 Pets are allowed in this ultra-hot living destination between Lafayette and Broadway.